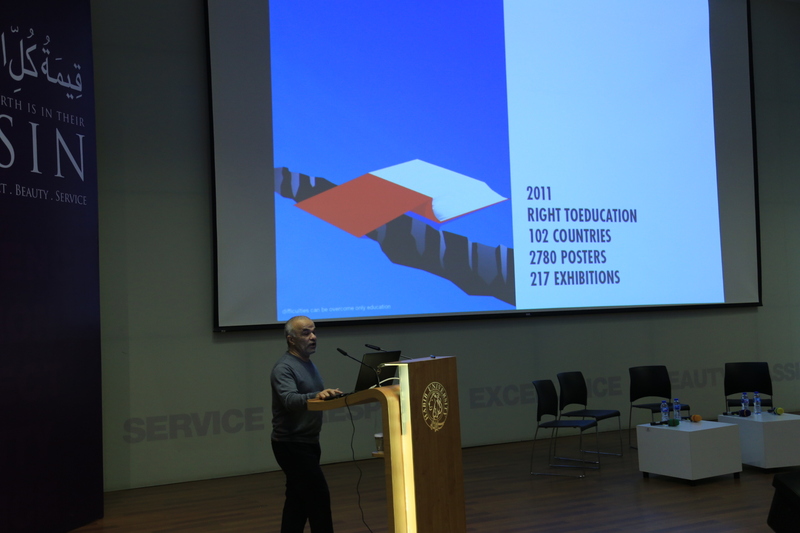 On January 18, 2019, Habib University’s Center of Media and Design, in collaboration with the magazine, Architecture, Design, and Art (ADA), hosted a day-long symposium titled ‘Curating Culture: Perspectives on Architecture, Design, and Art’. 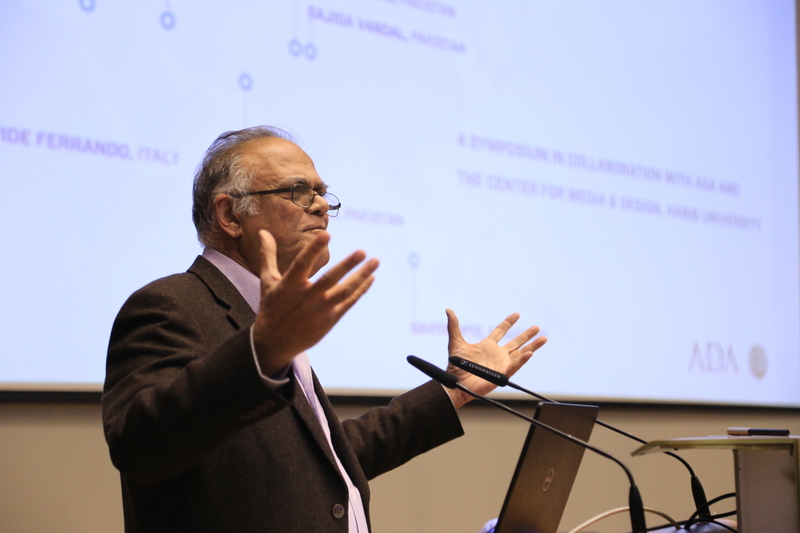 The event brought together a local and international spectrum of visionaries, each of whom work through their own regional lens with an eye for transnational understanding and collaboration. The conversations explored creative practices in the postcolonial landscape, the blurring line between studio and street, and the increasingly interdisciplinary approach undertaken today, coming together to explore the synergy of architecture, design and art that permeates our cities, lives and histories. 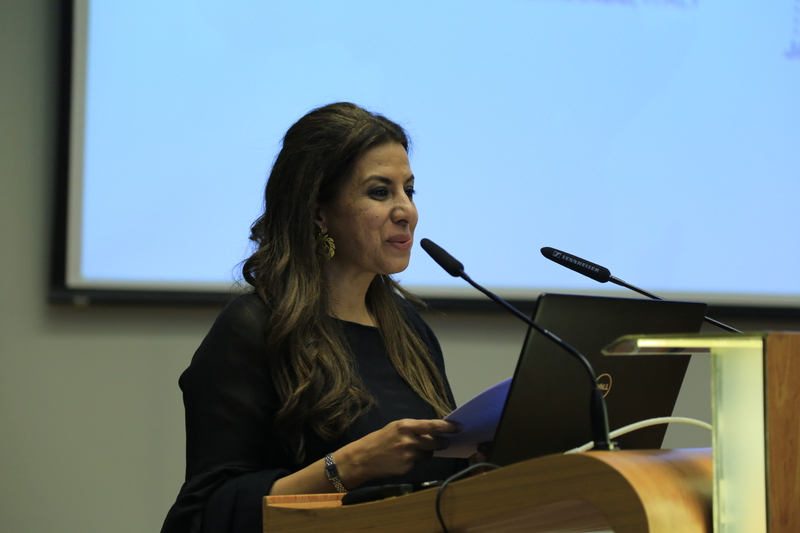 Speaking at the symposium, Maria Aslam, Chief Editor, ADA spoke about how the magazine started and thanked Habib University, the jury members, and chairs who have stayed with her through her journey. 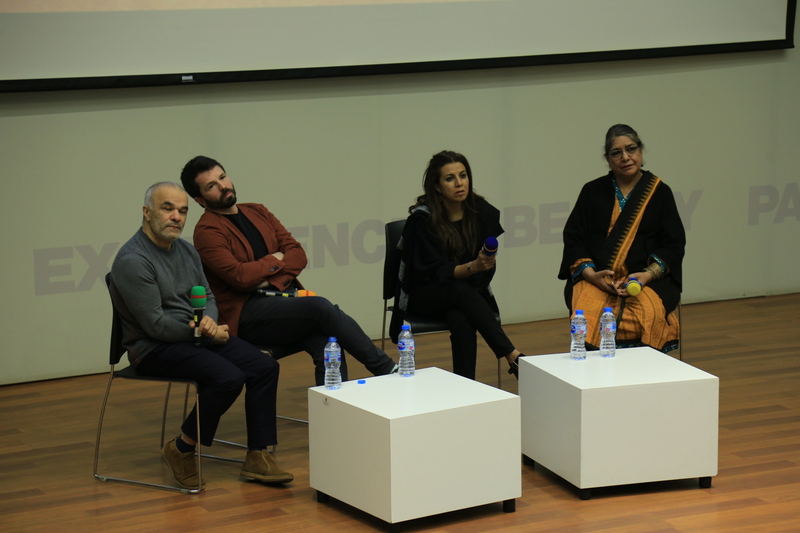 The symposium, which was open to the public, was organized around three sessions, ‘Creative Processes, Interdisciplinary Practices, and Practices from the Region’, and attended by the creative fraternity, community members, academics and students. 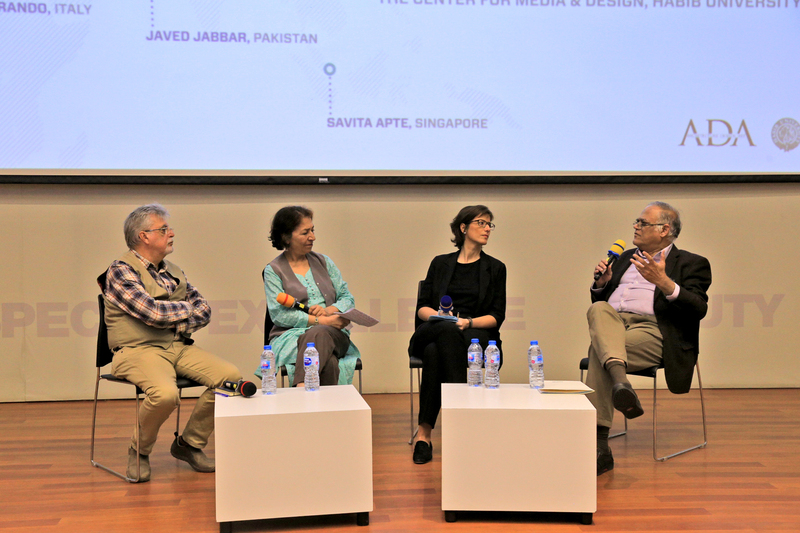 The first session featured three notable speakers, Mr Javed Jabbar (Pakistan), Zahra Taraneh Yalda (Iran), and Gonca Pasolar (Turkey) with Shahid Sayeed Khan (Chair of Architecture, ADA Awards 2019) as the moderator. Jabbar, with 15 books to his credit, and diverse experience in writing, film-making, and public affairs, remarked on how “today, for the first time in human history with technology supplementing the creative process, it helps create a better, sharper pigment in creativity, which was not previously possible. Gonca Pasolar spoke on how the creation of new spaces for people needs to be done through “building a relationship between the built and the natural environment… through understanding the legacy of local cultures.” She passionately spoke of how each new architectural project she receives is met with great enthusiasm and requires an exploration of the cultural contexts before diving into creation. Joumana Ibrahim (Lebanon), Dr. Savita Apte (Singapore), and Salima Hashmi (Pakistan), took to the stage for the third and final session of the day. 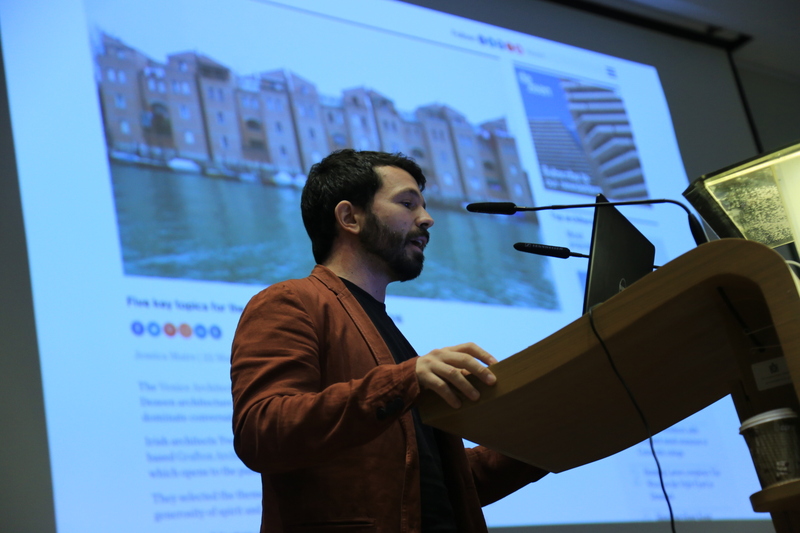 Ibrahim, who is a teacher at the Lebanon American University, spoke about how visual design and research can be used to explore those parts of society on which there is limited data. 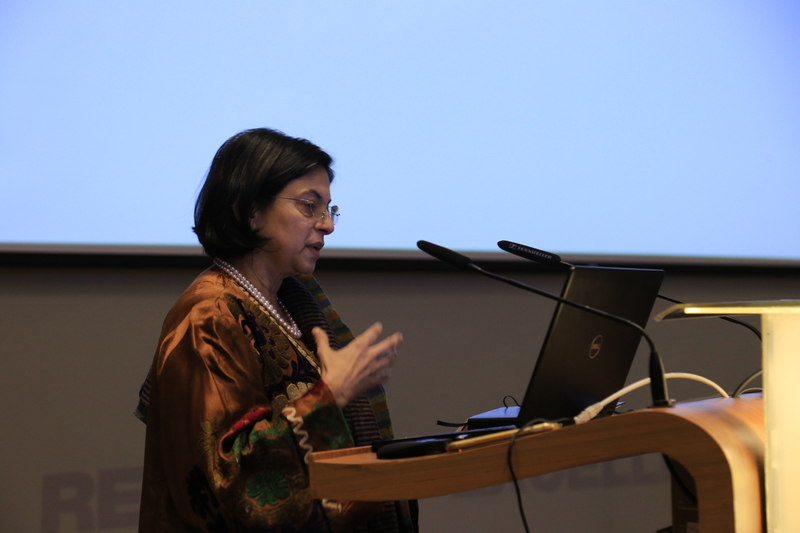 She was followed by Dr. Apte who questioned whether cultural sovereignty in art was perpetuating colonial frameworks and concluded, “Every artist is relevant, it is about the way art is written about and produced.” Artist, curator, and contemporary art historian, Salima Hashmi spoke on the changing landscape of art in Pakistan. She delved into how this is affected by growing collaboration and engagement with cities, ‘A place of destruction and construction, implosion and explosion’.